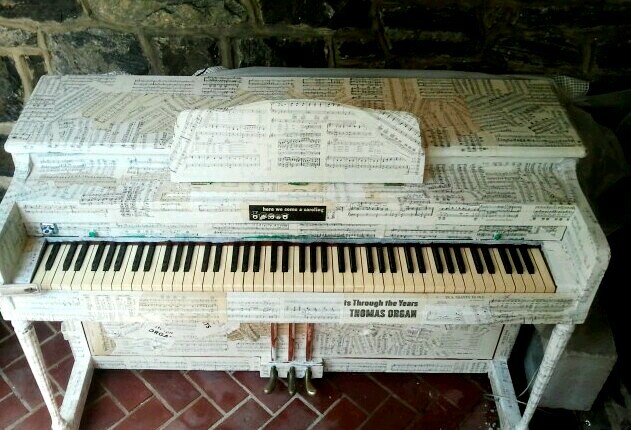 This is an image of the piano I artistically refurbished for Sing for Hope pianos 2013. I received an email from them yesterday stating my piano had been delivered to its new home that afternoon! I had been unsure if it had even found a home. Happily it did. VISIONS in NYC, the Chelsea section of Manhattan to be exact. Perhaps it was chosen for its textural surface? Perhaps it was chosen at random? Perhaps it was chosen for the black and white composition? I may never know. 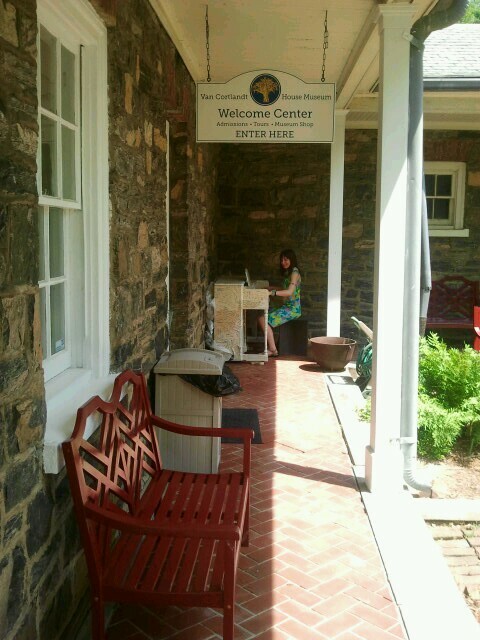 What I found more interesting at the time of this news was this: My piano now lives at a location I use to walk by five or more times a week. Now I am nowhere near that location. Well at least it has a home and is being loved. And is being a piano. 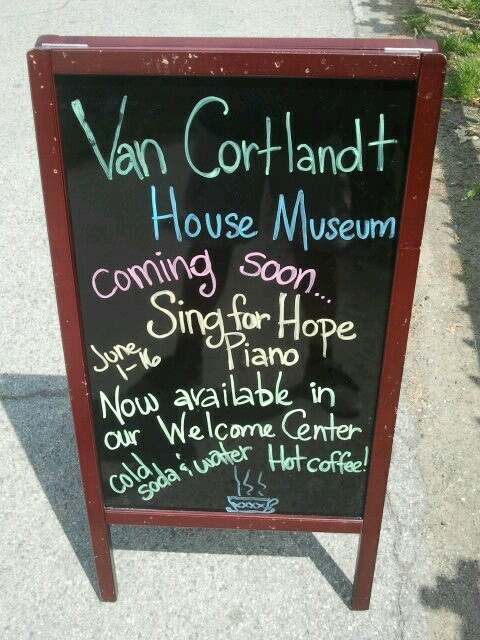 Here are some photos taken by Richard Heaven from my visit to Van Cortlandt House Museum, temporary home of my Sing for Hope piano. If you get a chance give it a visit it is there till June 15 16, 2013. 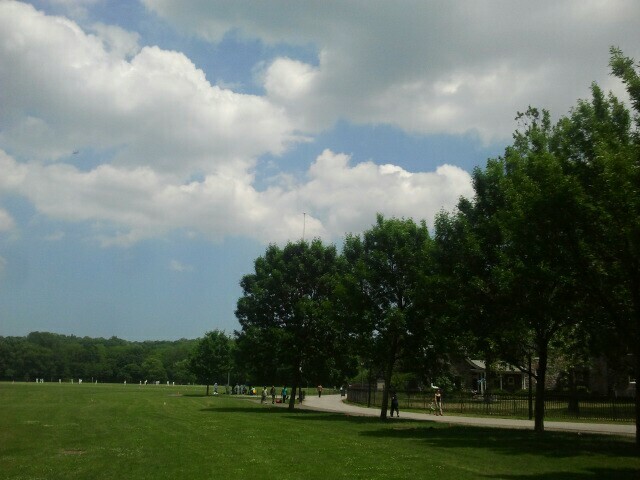 Everyday you can visit it until 6pm. UPDATE: Just found out that all of the pianos will be removed from their location some time during throughout the day on the 15 (this may be not until 7 or 8pm, but may be earlier). There will be a closing celebration on Sunday, June 16 on the Josie Robertson Plaza at Lincoln Center. So if you cannot make it to the Bronx you have another chance in Manhattan to see all 88 pianos at once! 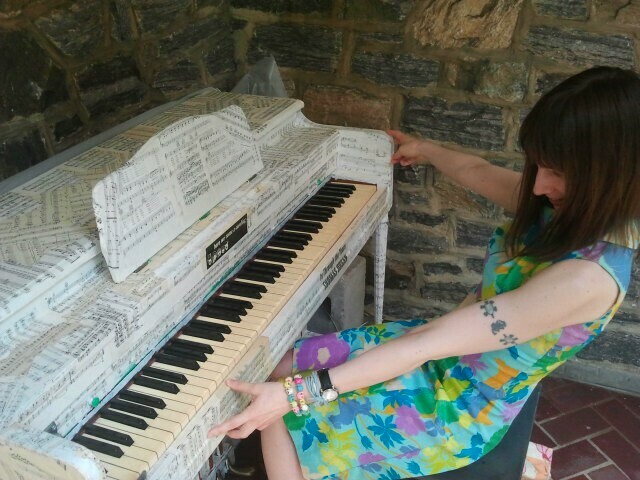 Sunday, June 2nd I, along with the love of my life, Amy (who was commissioned, along with 87 other artists to put their artistic spin on a piano) went to Van Cortlandt Park in Riverdale, Bronx and visited the Van Cortlandt House Museum to see her Piano. These a re some of the photos taken that lovely day! Apologies for the long delay in posting. I am working on a deadline (or a drop dead date as some would say) with time restrictions. Normally not a problem, but I’ve got something called a day job that can get a bit in the way. Even so I prevail and will conquer! Since the last post where I shared my reaction to excitement I have begun working on a piano. I was given an upright piano to work on. Well it wasn’t given to me, it is in a studio location where I get to work (during specific times) on it. 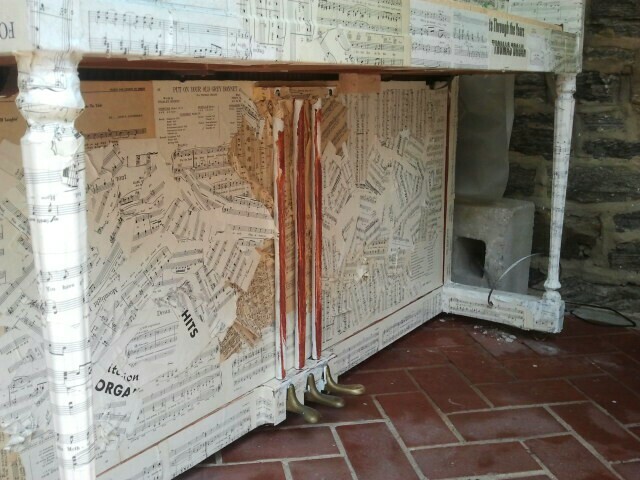 I happily would have taken any of the pianos and am still super excited about this project. It is coming out fantastically. Not exactly as I planned, for nothing does, but possibly better. I am using vintage music books (bought online), shredding the pages inside of them (which my mother cringed at the thought), and am applying them to the piano. Oh and I primed and painted the piano first. Why? The primer and paint were free, I hadn’t ordered the music books yet, and as a former piano painter said it is a good way to get to know your piano. When it is done it will be on display in NYC (will share location information when I find out!) for the first two weeks of June. So if you can play piano come out and if you cannot play piano come out to take a look and listen! Here are some pictures of my progress so far.